Are you having trouble getting your favorite multiplayer games or chat program to connect to the Internet? Does your tablet's Web browser fail despite being connected to a Wi-Fi network? Your problem may be a blocked port on your router, and that's easy to fix. First, you need to gather some information about your network and assign a static IP address to the device you're using. A static IP address is an unchanging number identifying a device on your network, and to forward a port you first need to give your router the static IP address of the device for which you are opening the port. 1. From a computer connected to your network, click Start, and then type cmd into the search field. Press Enter. 2. Type ipconfig /all in the window that pops up. Press Enter. 4. 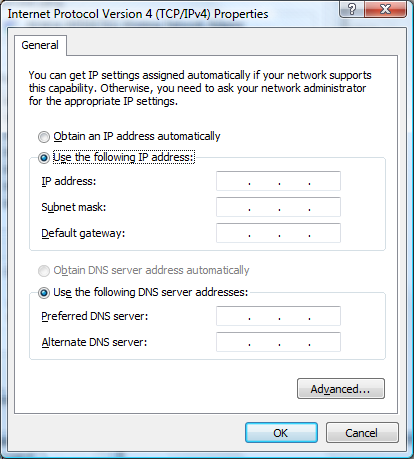 To set a static IP address on a Windows 7 or Vista PC, open Control Panel. Click Network and Internet, then Network and Sharing Center. In the left pane, click Change adapter settings in Windows 7; in Vista, click Manage network connections. 4a. Right-click Local Area Connection; then click Properties. 4b. In the list, select Internet Protocol Version 4 (TCP/IPv4), and click Properties. 4c. Select Use the following IP address. 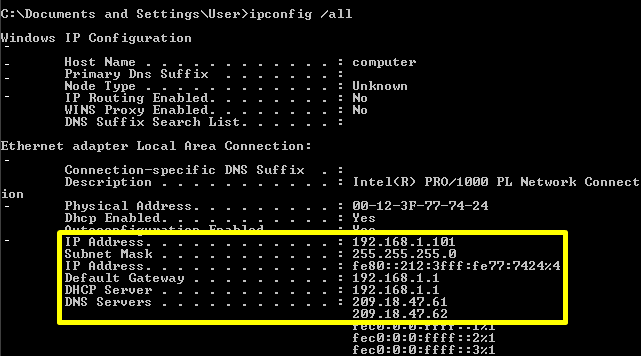 Add 10 to the last digit of your Default Gateway number and enter it into the IP address field. For example, if your Default Gateway is 192.168.1.1, the new number is 192.168.1.11. 4d. Enter the numbers of the Subnet Mask, Default Gateway, and DNS Servers that you recorded earlier into their respective fields. Click OK.
5. To assign a static IP to a printer, video game console, or other device on your network, you’ll need to use the device’s control panel or a Web-based interface. 2. Enter your username and password to access your router’s interface. The default username and password should be listed in your router’s documentation, on a sticker on the side of your router, or on the Port Forward website. If the username and password have been changed from the defaults and you don’t remember them, you’ll need to reset your router. 4. No matter what the router or interface, you’ll need to enter the same basic information. Enter the port you want to open under Internal and External, or enter a range of ports to open under Start and End. If you aren’t sure what port(s) you need to open for an application, consult this Port Forward list. Some common ports are 25565 (Minecraft), 6881–6887 (BitTorrent clients), and 3724 (World of Warcraft). Congratulations! You've mastered the arcane process of port forwarding. Keep this simple guide handy in case you need to open more ports in the future, or just try your luck with an automated port forwarding utility like Simple Port Forwarding.